CarryMoor Sling Library and Consultancy is based in Ilkley Moor, West Yorkshire and is run by me, Teresa Varney. It was set up in August 2013 to help and offer advice to parents and caregivers who would like to carry their children. Whether you're pregnant, a new parent or have been using a carrier for a while, CarryMoor can bring you the advice and support you're looking for. 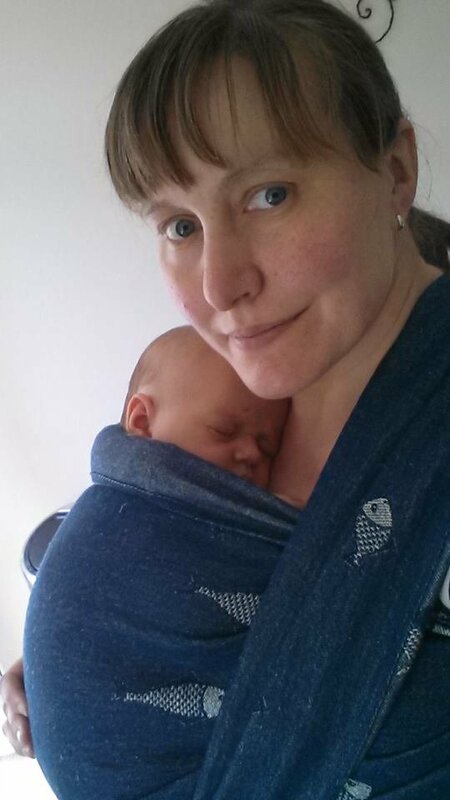 My own babywearing journey started in September 2010 just after my first son was born, I attended a local breastfeeding support group and was introduced to the world of slings, my expensive pram became redundant because my baby preferred to be worn in a sling close to me. When my second son came along in 2012, he was born and he was literally worn the very next day. I've since had Jake, son number three, who has also been in a sling since the day he was born. I soon discovered that the vast majority of the sling and carrier industry is web based, but one to one support with a trained professional is invaluable when looking for the right carrier for you and your child. I attended my local sling library, but it wasn't exactly local, and so CarryMoor was born, we have a wide variety of carriers and slings that can be tried out, and then taken home on a short term hire agreement allowing you to see if the carrier really works for you and your family.